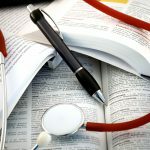 If you have been mulling over becoming a Licensed Practical Nurse, then you should do some thorough research into the different LPN Programs that are on offer before making up your mind where to study. Online LPN Programs such as the one offered by Kaplan University are very popular due to the fact that they can be pursued whilst still continuing to raise a family or work. When doing your research, look for institutions and programs that are accredited or you will basically just be wasting your time and money as you will not be able to register and without licensure you will have a very hard time finding employment. This review strives to give you an insight into the program offered by Kaplan University so that you can see for yourself how a reputable institution offers online programs and hence what type of information you should be checking when doing your research. 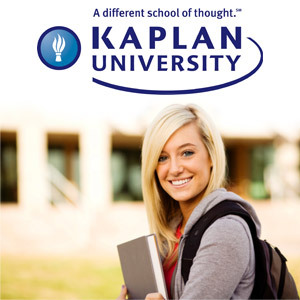 Kaplan College is part of Kaplan Higher Education (KHEC), a division of Kaplan, Inc. It has a distinguished tradition as a career-maker and an academic pioneer since it was established as the American Institute of Commerce in 1937. KHEC is a foremost global provider of educational services for schools, businesses and individuals, and as such it serves in excess of one million students globally per year. Kaplan Higher Education Campuses is a group of institutions with its headquarters in Chicago, Illinois. KHEC is comprised of more than sixty schools nationwide. 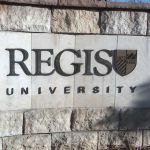 Each school is separately accredited by national or regional accrediting agencies as approved by the U.S. Department of Education. 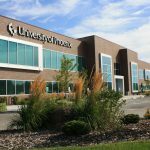 The university itself has its headquarters in Davenport, Iowa, U.S., but its formal administrative office is in Fort Lauderdale, Florida. By revenue, Kaplan, Inc. is the second largest education company in the United States. It is dedicated to educating in such a way that its graduates obtain employment in one of the fastest-growing occupations in theUnited States, as per the U.S. Department of Labor. Kaplan’s mission is to instill a sense of ongoing learning in students by fostering their learning with opportunities that will launch, change or enhance their careers in a world that is global and very diverse. Kaplan has dedicated itself to a student-centered service and support approach, general education, and applied scholarship in a practical environment. All their academic programs have been developed and assessed by faculty, staff, and members of educational, professional, and business communities. It provides comprehensive and intensive instruction using both on-campus and online learning modes of delivery that strengthen student academic achievements. It assists students to develop values, skills, professional attitudes, and strategies designed to foster success in their careers and in life in general. It prepares students to meet the changing needs of their communities in the present and in the future. 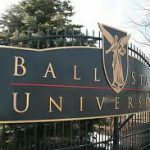 It plans and provides resources and facilities that respond to the ever-changing needs of students, faculty, and staff. It instills in its students the value of lifelong learning by stimulating their creative and critical thinking, intellectual curiosity, and awareness of culture and diversity. Kaplan University School of Nursing is dedicated to assisting students to achieve only the best grades via their programs. Their programs are specifically aimed at instilling the requisite skills, knowledge and confidence needed to become a leader in this fast-growing industry. Kaplan’s online LPN program allows you to study in the comfort of your own home and at a time that suits you so as not to interfere with other familial or work responsibilities you may have. Only practicing professionals dedicated to assisting students in preparing for the real-world challenges in nursing are employed at Kaplan University School of Nursing. You will also have access to Academic Advisors and faculty mentors. Kaplan’s online coursed are specifically designed to enhance communication skills, encourage critical thinking, and address the technical competencies required by nurses and other in the employ of healthcare institutions today. Kaplan University School of Nursing’s online programs are designed around using enhanced delivery methods and advanced technology to make classes easy and accessible to all. Kaplan makes use of web field trips, video conferencing, live audio & video streaming facilities, discussion boards, e-mail, online quizzes, and various other means to make your online experience with them easy and informative, and to prepare you to take the LPN licensure exam, the NCLEX-PN which you need to pass in order to obtain licensure. Kaplan also offers various library services, including an online library with access to over 50,000 e-books, which students may make use of. There is also an on-campus library which contains articles from scholarly, professional, and trade journals. The services offered by the Kaplan Online Library are unequalled at any other institution, wherein they also offer reference assistance via email, toll-free phone, and live chat; a book delivery service and interlibrary loan service; research collaboration with online library staff, and live chat; real-time and multimedia instructional materials. Kaplan University online is dedicated to providing its students with a user-friendly online classroom environment that will make your learning interactive and enjoyable. They are also committed to providing you with online tools and resources, exceptional convenience, and an opportunity for you to achieve your professional and career goals. The LPN/LVN program through Kaplan University will give you training and experience in Basic bedside nursing, data collection, medication administration and documentation, patient education, and tracheotomy care. Once you have completed this online LPN/LVN program you will be able to apply for entry level positions in the nursing profession as an acute care staff nurse, a home health nurse, a long-term care charge or staff nurse, a phlebotomy/blood bank nurse, a public school LVN/health clerk or a Licensed Vocational Nurse (same as LPN) once you have successfully sat for the NCLEX-PN licensure exam and applied for registration. 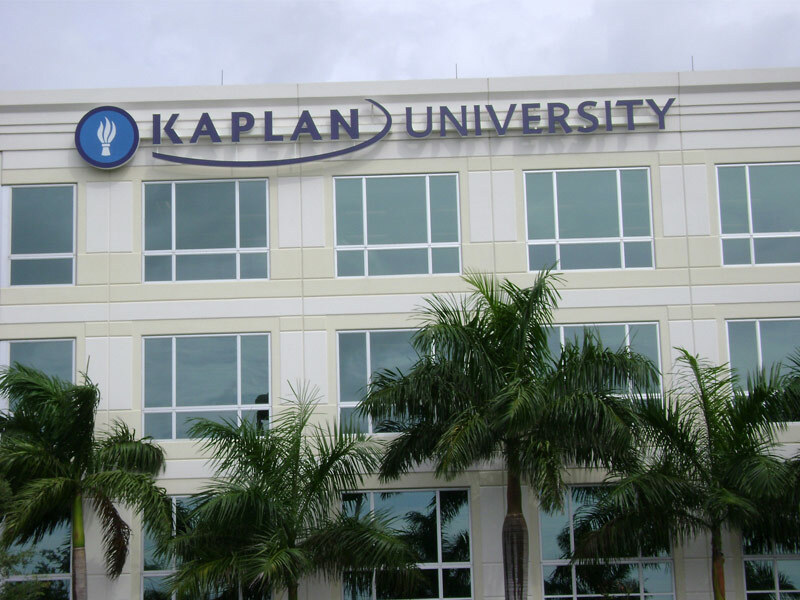 Kaplan University’s admission requirements are very well laid out on the website, and you will find a step-by-step description of how to go about applying to the college. The first step in applying for admission is to complete a request for information form and then to speak to an Admissions Advisor who will explain the process and assist you through each step. Under Federal law, Kaplan is authorized to enroll non-immigrant and alien students. International students wishing to apply must be 18 years or older and must complete the admissions requirement and provide evidence of adequate financial resources and demonstrate a command of written and oral English language skills. All transcripts submitted must be translated into English and evaluated by an approved foreign credential evaluator prior to enrollment. You can take a virtual tour of Kaplan’s online classroom environment so that you can see what lies ahead of you if you decide to do an online LPN program with Kaplan University. In order to study online, you will need a lot of self-determination and willpower as it is not easy for everyone to study when their friends are out having fun. It will also be difficult as you will need to find the time to complete your online LPN program as well as work, but it is also great that it is so flexible and this allows you to work your studying into your normal schedule. You will need to have either access to a decent computer or laptop, or preferably have one of your own. You will need to be competent in computer use in order to get, complete and submit various assignments. Your computer should also be able to view online videos and allow you to join in on Live Chats and forums, so you also need a fast internet speed. You also need to have a current e-mail address or set one up especially for use with this program ands you will be corresponding with staff, faculty and fellow students via e-mail. In order to register for the Online Licensed Practical/Vocational Nurse Program, you will need to first apply for admission to Kaplan Online University. Over and above what you need to do for registry to the university, you need to earn 110 credits. You must be a high school graduate, or in possession of a General Education Development (GED) certificate. A Home Study certificate or transcript from a Home Study program that is deemed to be the equivalent of a high school level and which is recognized by your home state is also acceptable. Evidence of high school graduation or equivalent must be presented to Kaplan University. You must complete an Enrollment Agreement and all required documents. You will need to complete an informational interview. You may be required to take an entrance examination. All monies must be submitted as outlined on the Tuition and Fees Schedule. All courses are taught in English; therefore you must display Basic English communication competencies. This means that you need to be able to speak, read and write English fluently. All financial arrangements must be completed prior to starting class, including applying for financial aid where applicable. The degree course that you will be taking in order to become an LPN is the Associate of Science in Nursing. The Online LPN Program is a course designed for individuals that have absolutely no previous nursing education or experience. Kaplan’s tuition fees are very reasonable, but some individuals may still need some financial help. If you are in need of financial assistance in order to study, contact a Kaplan University Financial Aid Adviser to ascertain what options are available to you and what type of help you qualify for. As exemplified by the above, there is no reason that a lack of finances should stop you from achieving your dream to become a Licensed Practical Nurse. Contact an on-campus Financial Aid Adviser or complete an online FAFSA application at www.fafsa.edu.gov., which is free to do, and will grant you access to information regarding any state scholarships or grants for which you may qualify as a Kaplan University student. The priority deadline for FAFSA is March 10 each year. Kaplan University is accredited by The Higher Learning Commission (HLC) and a member of the North Central Association of Colleges and Schools (NCA) www.ncahlc.org. If you have questions about their accreditation, you can call 954.515.3296. Kaplan University Online is regionally accredited under the charter of Higher Learning Commission and is a lifelong member of the North Central Association of Colleges and Schools (NCA). 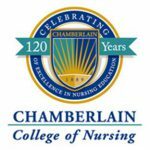 Kaplan University School of Nursing is accredited by the Commission of Collegiate Nursing Education (CCNE), which endorses the nursing school’s Bachelor of Science degree in Nursing.